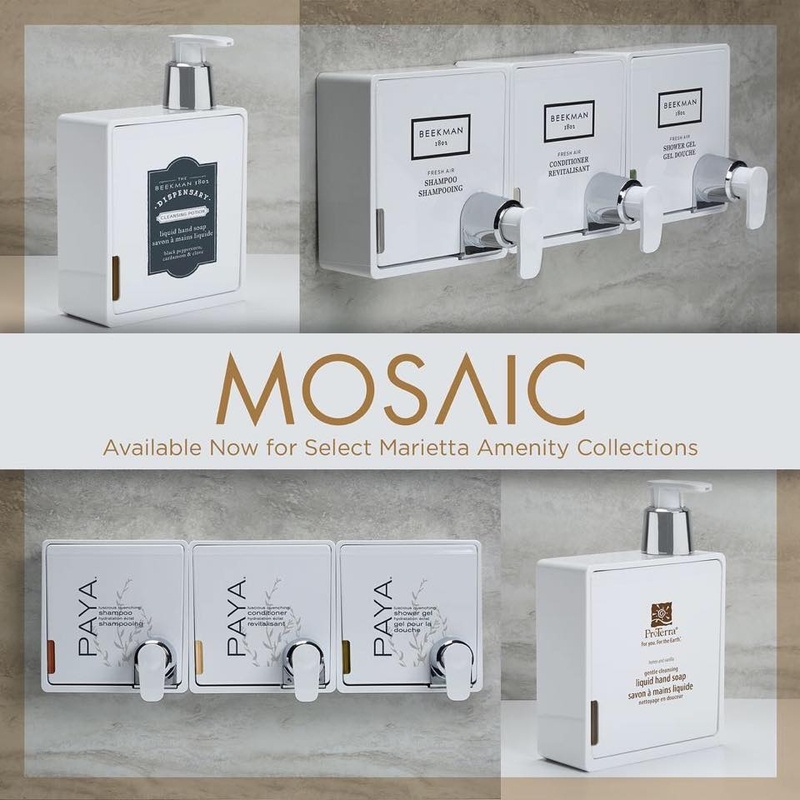 Mosaic enables your property to lead the evolution of sustainable luxury. With function as beautiful as its form, units are easy to install, lock, remove, refill, exchange and clean. And because housekeeping spends less time on stocking, ordering, replacing, and recycling single-use bottles and soaps, they have more time to focus on other tasks to enhance guest experiences. • Easy to install (no screws), lock, remove, refill, exchange and clean.